Devon Pinto is still fighting to win the $1 million grand prize on Survivor: Heroes vs. Healers vs. Hustlers. Devon is a 24-year-old surf instructor from Carlsbad, CA who currently resides in Solana Beach, CA. Devon started the game as a member of the Hustlers tribe called "Yawa," but he made it past the merge and is now a member of Solewa. 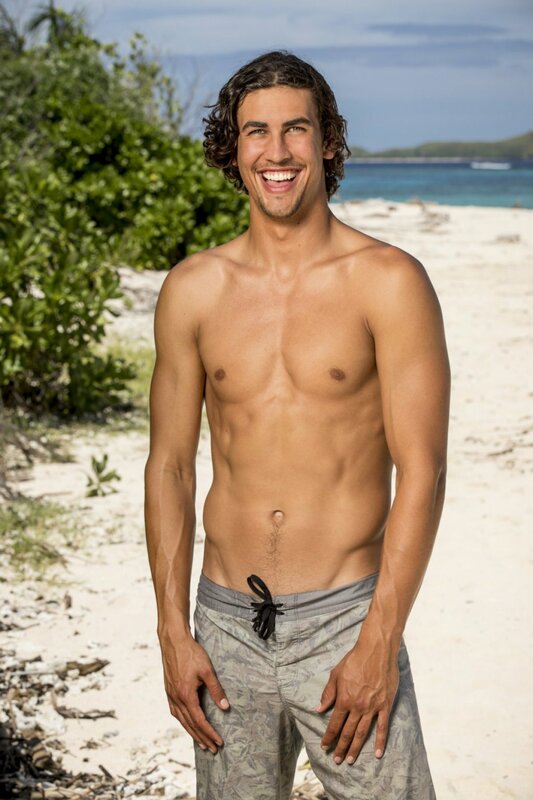 Devon entered the game of Survivor believing that his fellow castaways would underestimate him in assuming he's just a surf bum, and as of recently, Devon is proving he is a smart and strategic player. Devon also isn't afraid to make big moves and betray his closest allies, such as Ryan Ulrich, to further himself in the game. However, he has yet to get rid of Ben Driebergen, a double agent who may eventually get in his way of being crowned "Sole Survivor." Curious to learn more about him? - If he could have picked three items to bring with him to Fiji, Devon would choose his guitar to serenade everyone, his surfboard to catch some untouched waves and pass the time, and champagne to celebrate mmunity Challenge wins. - Devon really admires his parents because they had a kid at the young age of 22 but managed to stay together as a couple and be there for Devon and his siblings growing up. - Devon has held down a variety of jobs. He has served as a bartender, taught guitar lessons, and even worked for a financial management firm.